Spring seems to be full of problems. Brittany’s parents have reconciled—but now they seem to spend more time with each other than they do with Brittany. Sam decides to take a fashion illustration class like her grandmother did—but, oh, if she could only be as good as her grandmother! They all take a trip to Lucky Lake and discover it needed a big trash-pick-up day. 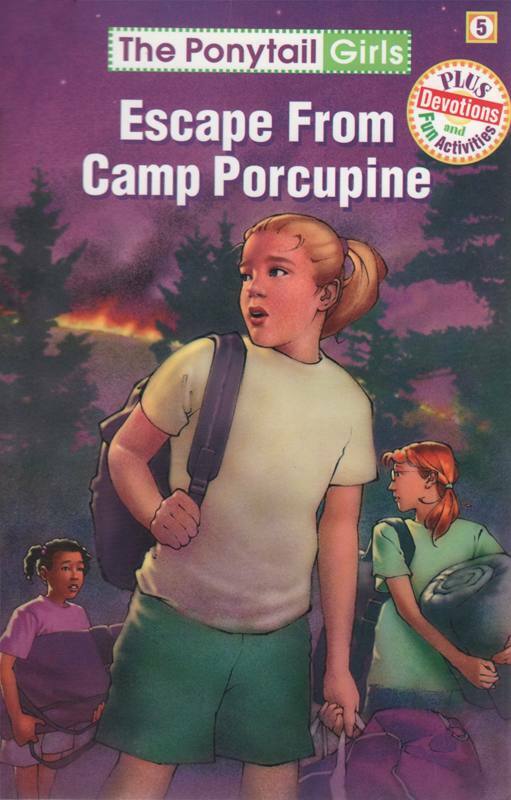 Then right around the corner is summer camp up at Camp Porcupine—and all the odd jobs the girls take to earn money to pay for camp. There they have a great time, until suddenly a forest fire sends all the campers fleeing on buses. Big boys like Tony also help rescue the camp animals. Finally, they all make it out safely, telling God “Thank You” for all His help.